OK. I'll try it with my airpods next time I go for a run. Still need to work out how the Nike run app works on the new watch. Still can't do podcasts or audiobooks. I find myself listening to music less and less. Plus, I just got a huge dump of BBC panel games (well, one panel game, but there's a lot of it). I don't want to categorise them as music because that makes a mess of my library. It seems to be a fairly significant omission on Apple's part. Audible not having an app is a pain, but Apple not including their audiobooks is an error. I’ve been running lately only with my Watch and AirPods. It’s great, but I’d also love to occasionally listen to podcasts as well. Apple Music on the Watch will be awesome and prevent the overnight syncing necessary to load the Watch up with tunes. 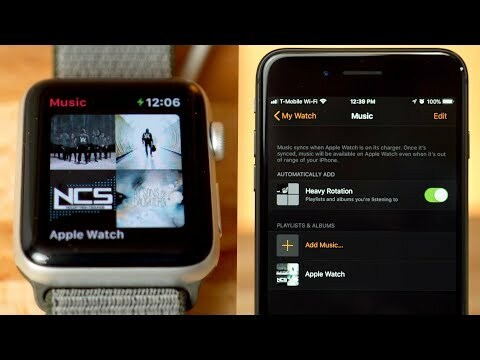 I’d still like the option of my other audio media to exercise to with only the Watch.